What are Portfolio Management Services? 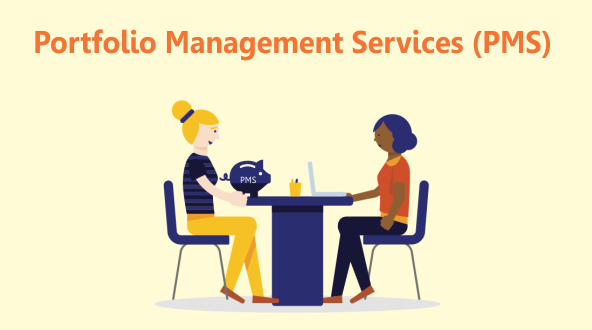 Portfolio Management Service (PMS) is a financial service designed for High Networth Individuals (HNI). HNI investors generally prefer customized investment options and thus PMS is suitable for such investors. PMS is offered by various entities such as asset management companies, banks and brokerages registered with SEBI. PMS Managers are highly qualified investment professionals with extensive knowledge and research experience. The portfolio manager prepares customized investment strategy for the investors based on their goals and other factors. The investor needs to invest a minimum of Rs.25 lacs in PMS. They can also give stocks worth Rs.25 lacs to the manager, else they can invest in a combination of cash and stocks. The manager invests such amount in either equity or debt, though mostly equity is preferred. The aim of the managers is to develop investment portfolio to optimize returns for the investor. PMS can be either discretionary or non-discretionary. If the investor opts for discretionary PMS, the manager will have the freedom to take investment decision on behalf of the investors. The manager will also have the power of attorney to manage the investor’s DEMAT and bank account, though the ownership will stay with the investor. In case of non-discretionary PMS, the manager merely suggests investment ideas and it is up to the investor to decide whether they would like to follow the idea. PMS managers cannot take buy-sell decisions on their own in non-discretionary mode. The portfolio managers are required to submit performance report regularly to their clients. The fee of the managers and profit sharing is decided based on mutual agreement with the investor. It can be either fixed or variable or a combination of both. The basic fee is 2-2.5% per annum and can be lower if the assets to be managed are bigger. Though PMS has certain similarities with mutual fund, it is also different from it in many ways. Both mutual fund and PMS have portfolio which is handled by managers and invest in equities and debts. In mutual funds, however, the investors can hold only units of shares while in PMS investors hold stocks in their DEMAT account. The annual fee of mutual fund is also fixed while in PMS it can be variable. PMS also allows investors to hold assets of their choice, while in mutual fund the assets are decided by the managers. PMS managers are also directly accountable to investors, unlike mutual fund. In terms of taxation, both mutual fund and PMS investors are subject to short/long term capital gain depending on their holding period. One should carefully select PMS provider to get optimum returns. You should also carefully decide the terms of agreement before you start investing. Mushtaq is the co-founder of Moneyfrog.in. Mushtaq has had corporate stints with Kotak Securities & IIFL group. 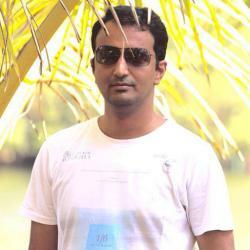 He holds an MBA degree from Pune University. His interests include cooking & gardening. When he is not cooking or gardening, he is writing. How to Plan for Retirement Income?